Take our Online Quiz now to find out if you’re likely to be able to get a 2nd mortgage with bad credit. There’s no credit check & it only takes two minutes. Getting a second mortgage is a great alternative to remortgaging or taking out an unsecured loan, however, just like securing any kind of credit with a bad credit score, it can be very hard to find lenders that’ll offer you a second mortgage. Thankfully, difficult doesn’t always mean impossible. If you’re a homeowner with equity in your property, then you may still be eligible for a second mortgage, even with bad credit. To increase your chances of finding bad credit 2nd mortgage lenders, our Simply Adverse mortgage experts are the professionals to call. Why Choose Simply Adverse for a Second Mortgage with Bad Credit? If you’re searching for a second mortgage, bad credit history can be a problem, but here at Simply Adverse, we’re on hand to provide a solution. We’re dedicated to finding second mortgage loans for people with bad credit, using our 9 years of trading experience to get the best rates from specialist and niche lenders. Instead of searching for how to get a 2nd mortgage with bad credit, allow our experienced advisers, expert pre-underwriters, and communicative case managers to step in and help. With no upfront costs and our unrivalled service with proven results, make us your first point of call for a second mortgage. Having a bad credit history means that you have a record of poor financial responsibility, or no history of financial responsibility. Becoming bankrupt, missing payments, getting a CCJ, and defaulting on payments can all cause your credit score to decrease. Even without a perfect credit history, it’s often possible to secure a second mortgage. Just call Simply Adverse for more information about securing a second mortgage with bad credit. Checking your credit score has never been easier! There are multiple credit check services that you can use like Noddle, Equifax, Experian, and Call Credit, which will display your credit score based on your history of credit and current situation. Once you have checked your credit score with one of the services, you’ll be able to see your credit report. The report will show what could be influencing your credit score and provide a general overview of your rating. Discovering that you have a bad credit rating can be alarming, but the best thing that you can do is be proactive and talk to the experts. Instead of making multiple searches, just call Simply Adverse and we’ll help you to learn more about your options for a second mortgage. There are many steps that you can take to start repairing your credit file, some that will help immediately and others that will help in the long run. You can add notices of correction to correct any mistakes in your report, close old accounts, and make regular payments to creditors. 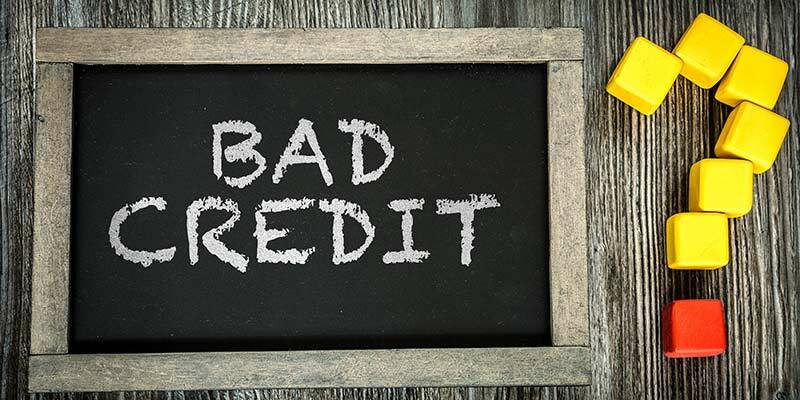 Take Our Second Mortgage Bad Credit History Quiz – Concerned about how to get a second mortgage with bad credit? Take a look at our specially designed second mortgage quiz to learn more about your suitability for a second mortgage with bad credit. At Simply Adverse, we do everything we can to simplify the process of how to get a second mortgage with bad credit. We’re always on hand to help if you have concerns about your credit score or your second mortgage bad credit history eligibility. Can I Get a Second Mortgage with Bad Credit History? The good news is that you’ll most likely be able to get a second mortgage with bad credit, but how successful you’ll be is very dependent on whether you’re using a bad credit mortgage broker. With the help of a specialist mortgage broker, you’ll have a much better chance of securing a second mortgage as your broker will be able to gain access to exclusive deals and a wider range of bad credit friendly lenders. Many lenders, who are not on the high street, will accept most types of adverse credit history, like CCJs and bankruptcy, as long as you can pass the affordability test and have enough equity in your property. Simply Adverse are always on hand to discuss how to get a 2nd mortgage with bad credit if you need expert advice. Can I Use a Second Mortgage to Consolidate Debts? As a common reason to take out bad credit 2nd mortgage loans, debt consolidation is possible with the funds from a second mortgage. However, the credit will be secured, so the risk can be higher. What Is a Binding Offer? After receiving an offer from a second mortgage lender, you’ll have seven days to consider the offer, during which time they’re bound by the offer they’ve made. How Can I Improve My Chances of Getting a 2nd Mortgage with Bad Credit? By increasing you credit rating and using a specialist bad credit broker, you’ll have a better chance of finding bad credit 2nd mortgage lenders. To speak to a Cemap qualified expert about how to take out a second mortgage with bad credit, you can call Simply Adverse today! Finding a second mortgage can be a very long process, especially if you’re searching the high street for bad credit 2nd mortgage lenders. Our expert team at Simply Adverse can deal with the whole process for you, from providing impartial advice and free assessments to searching for the best 2nd mortgage loans with bad credit. We want to bring you the best 2nd mortgage bad credit loans on the market, so we don’t restrict our search to a single panel of lenders. We search out the best deals from niche lenders and 2nd mortgage bad credit friendly lenders. When we say that we don’t charge up front, we really mean it. Before we get paid, we make sure that you have commitment from the bank to lend and a formal mortgage offer on the table. Worrying about how to take out a second mortgage with bad credit will only add extra stress to the already stressful situation. To ease your worries, take a look at our 2nd mortgage bad credit eligibility quiz – a fast and effective way to check your second mortgage suitability. Want to know more about how Simply Adverse can help with how to get a second mortgage with bad credit? You can call us 7 days a week for expert advice. What Bad Credit Mortgage Lenders Do Simply Adverse Work With? For first class support finding bad credit 2nd mortgage loans, debt consolidation options via second mortgages, and access to exclusive second charge mortgage with bad credit history rates, Simply Adverse are the experienced and qualified service that you need. Seven days a week, our expert mortgage advisers will work with you to help you secure a second mortgage. For any advice about second mortgages or to start the ball rolling and begin the search for your second mortgage lender, call us today and we’ll be happy to help.